Gogvo - Why You Should Host With GoGVO? you will need to effectively promote your business online! Global Virtual Opportunities can produce HUGE results for your and your business. Why settle for a small local market when you can have the world! We have been hosting web sites for well over a decade and we work with, and host some of the largest online marketers in the world today. Why do some of the largest online marketers host with us? Simply because we include so much more then just web hosting. We include the best online business building tools in the industry. Yes! All included on our Titanium Web Hosting account. From an auto responder mailing system, to complete video producing and prospecting systems. We give you everything that is needed in branding yourself and your business! All in one spot under one very powerful web hosting account. Global Virtual Opportunities (GVO) owns and operates its complete infrastructure. There is absolutely no middle man when it comes to GVO! Our hosting and marketing systems are developed and implemented from servers in our new state-of-the-art Datacenter located in San Antonio, Texas. How can we offer so much? 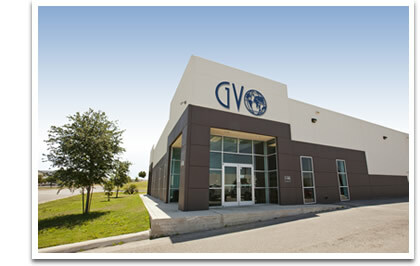 At GVO we own and operate everything from our own world class Datacenter in San Antonio, Texas. At GVO we own all lines of code and develop our own proprietary software and scripts for our operation. Everything begins and grows for our clients at Global Virtual Opportunities. Our main corporate office is located in San Antonio, Texas, USA. Everyone involved, knows we like to put a human element in everything we do. GVO is more than just a web hosting company. We are also an Internet Marketing Company, and we make sure that all of our clients are well taken care of. This is our number one priority! There is a real team behind Global Virtual Opportunities. You will get to know our team on a first name basis. That's the way we operate! We are real people, who really care and our business is based on the fact that you are a real person too! When it comes to web hosting. GVO puts it all out on the table! Unlimited Domain Hosting and powerful Marketing Tools are included with GVO's Titanium Hosting Account! We like to keep things simple! We know our Marketing Tools will help you make a profit and that your site is not about hosting, it is about having a Profitable Website with your hosting! We have been hosting web sites for well over 10 years. We work with and host some of the largest online marketers in the world today. GVO is not only a web host, but a host that understands the marketers mind and has all the tools in place to help clients and businesses grow to new heights. Our operations started in Gatineau Quebec, Canada. As our turnkey systems were developed and put in the hands of our consumers, we soon realized that we needed more resources to be able to take our hosting operation worldwide. Our market research on finding a new location for our new datacenter was soon underway. With many hours and thousands of miles traveled we discovered Texas to be top in the industry for an endless amount of fiber optics and resources. We moved our operations to San Antonio, Texas in 2007. It has been a dream come true! Creating incredible systems that go international overnight is an incredible feeling. It's all about helping others achieve their online goals and getting them into profit as soon as possible. You will enjoy your GVO web hosting experience and we hope to be working with you very soon!